PET/CT is a unique quantitative imaging technique, but its quantitative power for clinical research can only become productive when there is strict standardization of imaging protocols. Additionally, a common quality control (QC)/quality assurance (QA) procedure must be in place to ensure that optimal quantitative images and data are acquired. In 2009, The Clinical Trials Network (CTN) Scanner Validation Program was established to ensure baseline common quality control metrics for PET scanners used in multi-center studies. If properly performed, PET/CT scanner images are comparable and reproducible across multiple study sites for image noise and texture, quantitative accuracy and lesion detectability, thereby promoting standardization. When the molecular imaging research community improves image standardization, there is a greater likelihood of harmonization; i.e., that a specific imaging procedure can be used as a marker across clinical trials; not simply for one clinical trial. Standardization in molecular imaging is critical for a clinical trial to be successful. 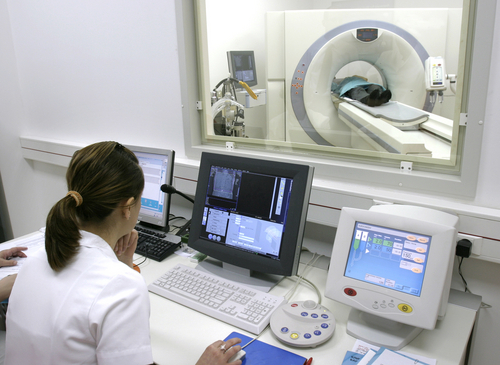 The elements of the CTN have been carefully developed to make it possible, using tested and proven phantoms designed by the CTN to ascertain and sustain the qualification of clinical imaging facilities in the CTN registry through demonstrating their ability to acquire high-quality PET images as well as interpret them correctly. Do you want to find out if your scanner is performing at its best? Click Here to find out more information. Emails may also be sent to Shyanne Mortimer at smortimer@snmmi.org. 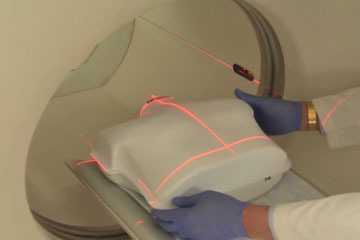 Scanner validation requires the use of the unique CTN phantom; ie, a “clinical simulator” that mimics lesions in the human torso and provides both qualitative and quantitative information in conditions similar to actual clinical imaging settings. Each phantom is numbered for tracking purposes and to maintain accurate maintenance records. All PET/CT scanners (or by special exception, PET-only scanners) that are planned for use in clinical trials must undergo this validation process by successfully completing the defined steps outlined in the Scanner Validation Committee SOPs. (1) A study sponsor provides a list of sites to the CTN and we, in turn, contact the sites. (2) Sites may be directly approached by a study sponsor to become validated for their study and the site, in turn, contacts the CTN. (3) Sites can directly approach CTN to become validated. In any instance, sites must first complete a one-page PET/CT Equipment Form and return it to the CTN via email for review before a phantom is sent to the site. When the validation is successfully completed, the site is given a certificate of completion for each PET/CT scanner validated. Validation is effective for one year; however, a study sponsor may require more frequent validations while a site is actively participating in the study. For more information on the Scanner Validation Program or to obtain pricing for a trial, please see FAQs or contact the CTN at ctnadmin@snmmi.org or Shyanne Mortimer at smortimer@snmmi.org.